Total Heating & Air Conditioning, Inc. is proud to serve the Arlington Heights community! About Arlington Heights, IL - Happy to be your hometown Heating & Air Conditioning Contractor! Situated in Lake County and Cook County, Illinois, Arlington Heights is the most populous community in the US to be incorporated as a village. With a population of more than 75,500 residents, it is adjacent to Palatine and nearby neighboring villages of Bolingbrook and Schaumburg. Best known for the Arlington Park Race Track, the village is also home to the Arlington Heights Memorial Library, which houses one of the most comprehensive collections statewide. A suburb of Chicago, about 25 miles northwest of downtown, Arlington Heights mainly lies in the western portion of the Wheeling Township. With territory in Palatine and Elk Grove townships, land began selling here back in 1835. The little town grew soon after, acquiring a hotel, hardware store, cheese factory and blacksmith. In 1887, it was incorporated as Arlington Heights with the population mostly consisting of farmers. However, it wasn’t long until they were joined by people who worked in Chicago. The expansion of the Chicago-area economy coupled with the white flight from the city and the spread of automobile ownership led to a massive increase in population between the 1950s and 1960s. 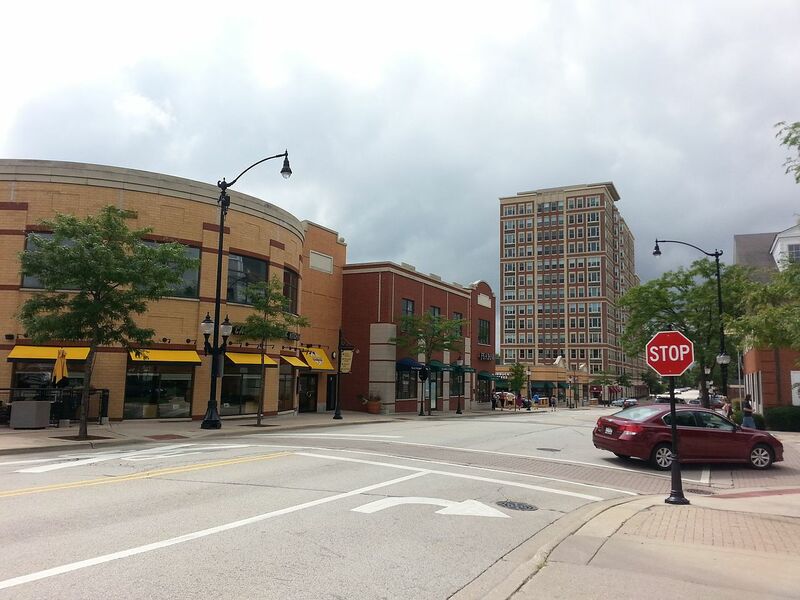 Today, Arlington Heights is one of the top 15 municipalities in the state of Illinois, which offers a unique blend of both old and new. Moreover, recent redevelopment efforts in the downtown and shopping areas have made the village an attractive destination for visitors, businesses, homebuyers and shoppers alike. The development of restaurants, condos, hotels and other businesses in the downtown area has strengthened the economy, with restaurants experiencing massive success. There are also a plethora of entertainment venues for residents, including the Metropolis Performing Arts Centre which not only provides live entertainment, but as well as facilities for arts education such as a ballroom and classes for theater and music. In addition, the Arlington Heights Memorial Library is one of the few public libraries to receive a 5-star rating by the Library Journal for the past seven years! It houses CDs, DVDs, magazines and books on a wide variety of topics. As far as education goes, the Arlington Heights School District 25 operates the public elementary and middle schools in the area. The village is also served by other neighboring school districts. Arlington Heights gets 24 inches of rainfall and 24 inches of snowfall per year. With the average high around 83 degrees in the summer, it’s difficult to make it through the day without an air conditioning system. Moreover, with the mercury dropping as low as 11 degrees in the winter, you would want to consider having a heat pump installed in your abode.